I had to create a custom timer job in SharePoint 2010 recently, but could not find a blog which explained the complete procedure to do this. So I decided to write one. 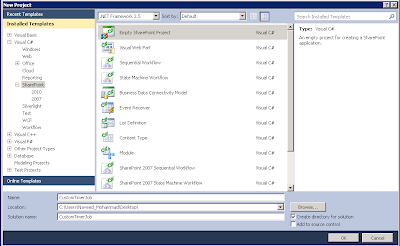 In this post I will give a step by step process to create a Custom timer job in SharePoint 2010 using Visual Studio 2010. 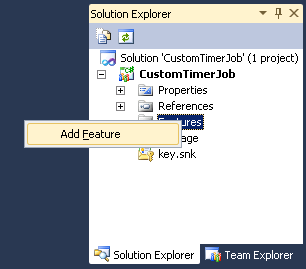 Timer jobs are created by extending the SPJobDefinition class and deployed as features. 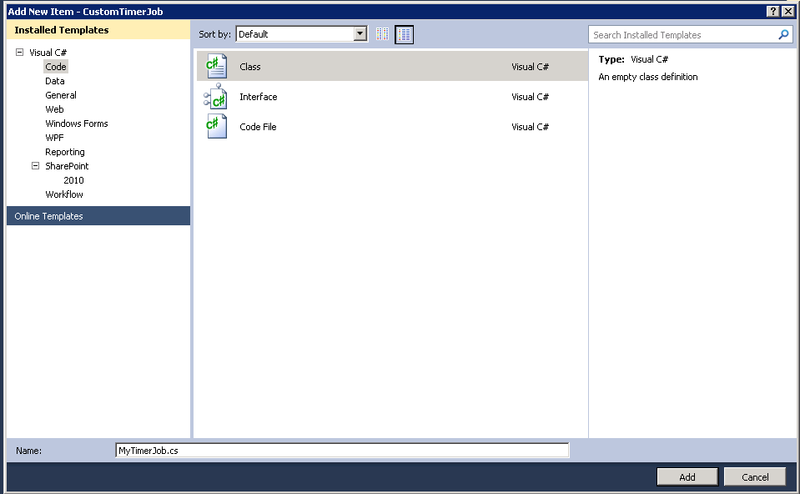 So we will create a class which extends the SPJobDefinition class. 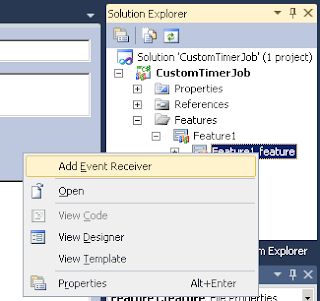 Then we will create a feature and we will handle the featureActivated() event of that feature. In that we will instantiate the class created. Let us see how to do all this. 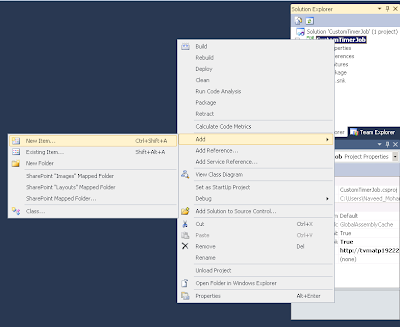 Create an empty SharePoint project in VS 2010. Give the Site Collection URL where you want this feature will be activated. Create a class in the project. Right click on the Features and click on Add Feature. Handle the featureActivated() event and instantiate the timer job created. Assign a schedule for it. Also handle the featureDeactivating() event and write the logic to delete the timer job when the feature is deactivated. Change the scope of the feature to whatever applicable and deploy the solution. Go to central administration and see if you can see the timer job that you created. Have you tried debugging your code. Please be more specific about where you get the error. Sharepoint Consulting is evolving with a lightning speed day by day as companies are growing. As companies grow, it is difficult to manage the record of files, documents, and their location in the companies. 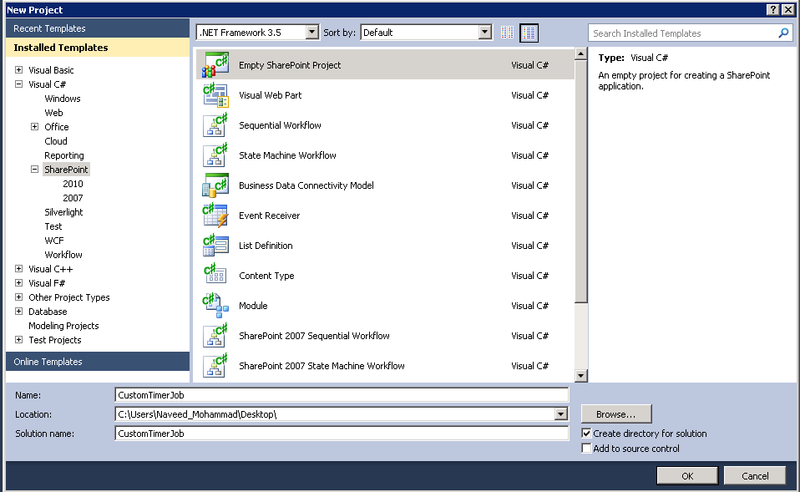 SharePoint Development helps you to store the files and documents and share it on a central site. I'm enjoying it right now and well this is genius. I have also tried Clear Timer App and this one's also really got a bang. I'm really grateful with these certain products of technology. 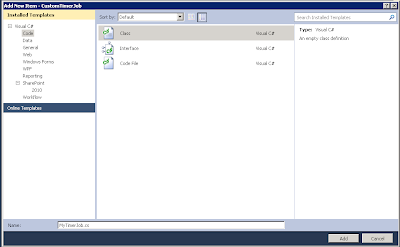 Can you please expand on this, we need to run daily timer job on a SP 2010 simple list to check the list item expiration date conditions (30 days prior, 45 days prior, 90 days prior) then use sputility.sendmail for notification? Thanks.